The Mature Mouse™ has recently posted several articles about Free Dining at Walt Disney World. Given the overwhelming response to the recent release of this offer, and the technology glitches that plagued travel agents and guests attempting to book vacations, the Dining Plan is obviously an important topic for Disney vacationers. However, just because the Dining Plan is offered as free, is it worth the value? And, more importantly, when is the Disney Dining plan not appropriate for your vacation. Disney Dining has posted an article that speaks to this question to assist you in determining if a dining plan is right for you. A travel agent who specializes in booking Disney Vacations is a valuable free resource when planning your next trip. I started planning my next Disney World Vacation by calling Jennie Nowers. When the Cool Summer Savings were released, Jennie was up early applying these savings to my trip, which saved me 15% on the price of my resort stay. I did not need to do a thing. Tell her that The Mature Mouse™ sent you and receive a special gift from Jennie with your next booking. 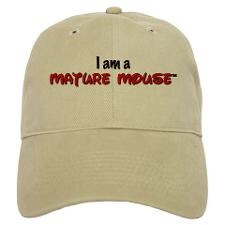 Please visit The Mature Mouse™ store for logo merchandise. Many of the items would make outstanding additions to your vacation gear and attire.